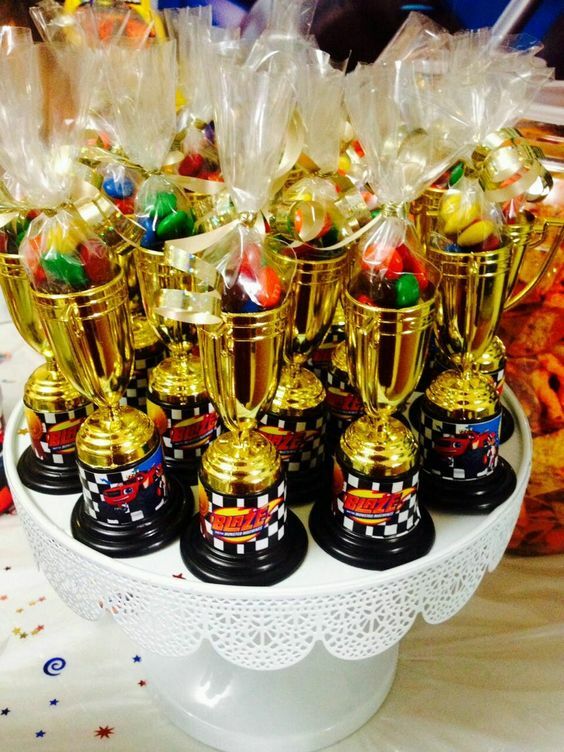 Party favours are a fantastic way of thanking friends and relatives for coming along to celebrate with you. 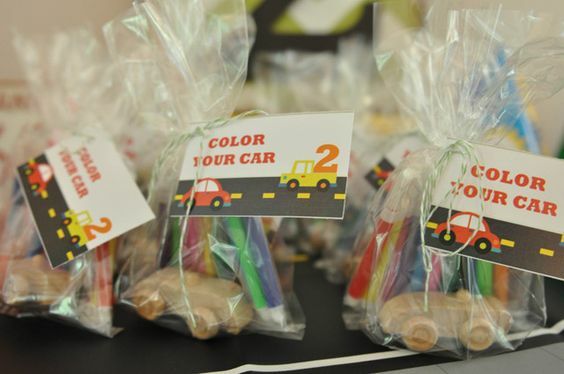 If you’re hosting a car-themed birthday party, you’re certainly in the right place for ideas and inspiration. 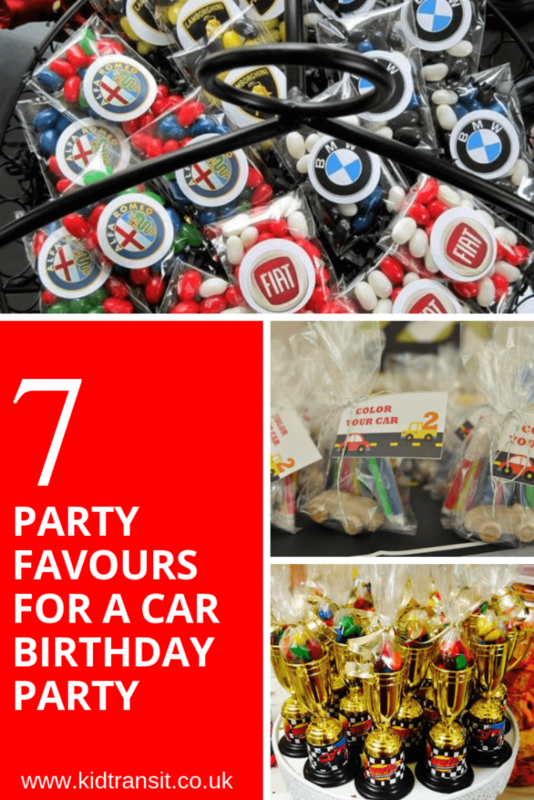 We’ve rounded up some of the best party favour ideas out there for revving up a first birthday bash. 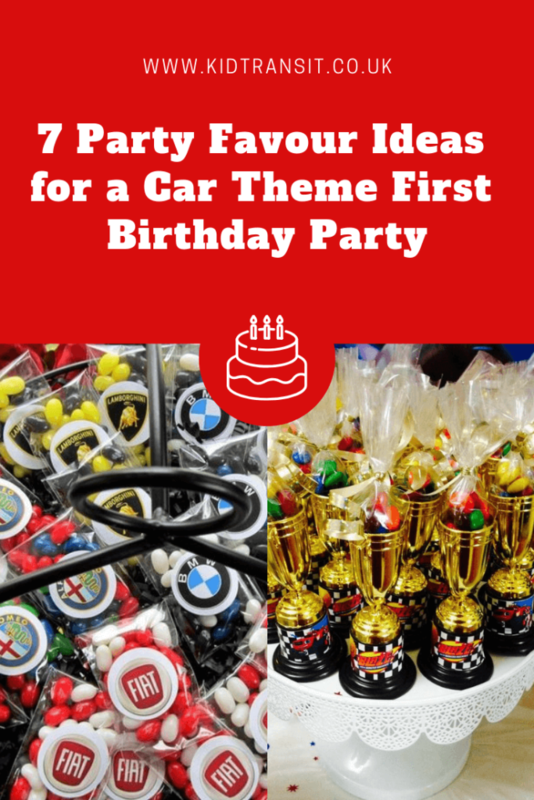 Searching for even more car-themed party ideas? 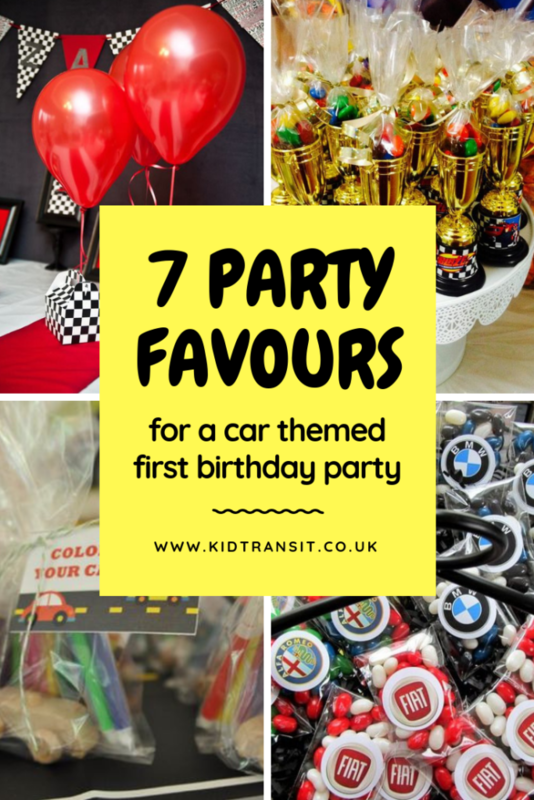 We’ve got everything you need from delicious cakes to toddler-friendly activities for yourcar themed first birthday party here. 1. It was a pun party. 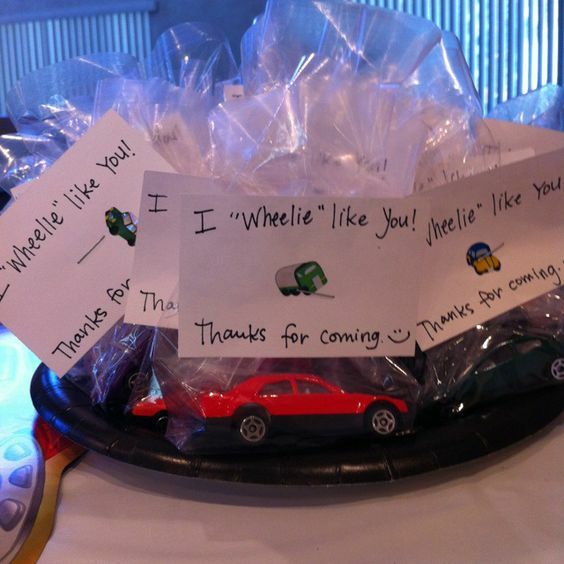 Whether your guests will appreciate the joke or not, we’re sure they’ve had a truckload of fun at the party. Source: The Multi Tasking Mummy. Give everyone a trophy they can tuck into. Just be careful not to give young children small sweets or toys with tiny parts. 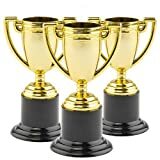 Pack of Fun - This pack of 6 gold trophies is great for prizes, award ceremonies, rewards and sports days. 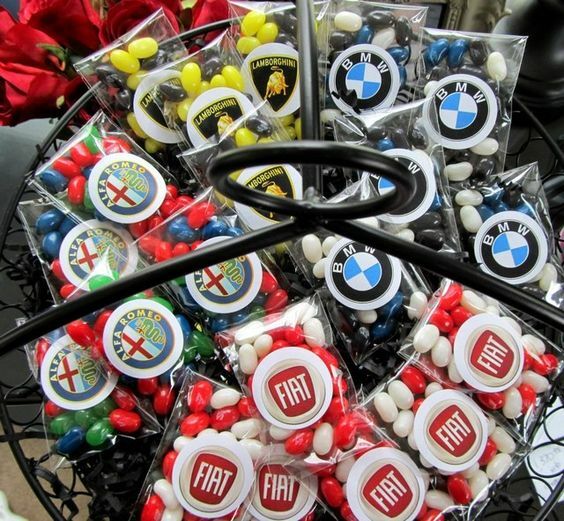 If you’re serious about cars, these branded sweeties are a fabulous way to impress guests. 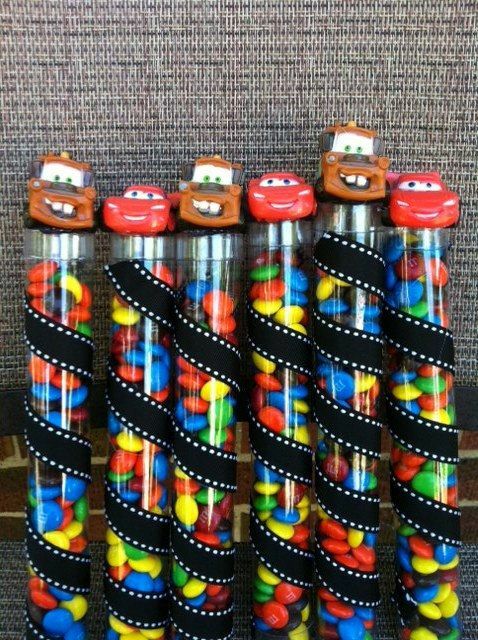 Top off your candy tubes with some Disney Pixar toys. 5. Something to take home. A simple, yet really effective, idea is to create traffic light bags out of coloured balls. 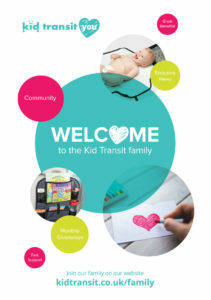 Children will love to have something to play with at home. 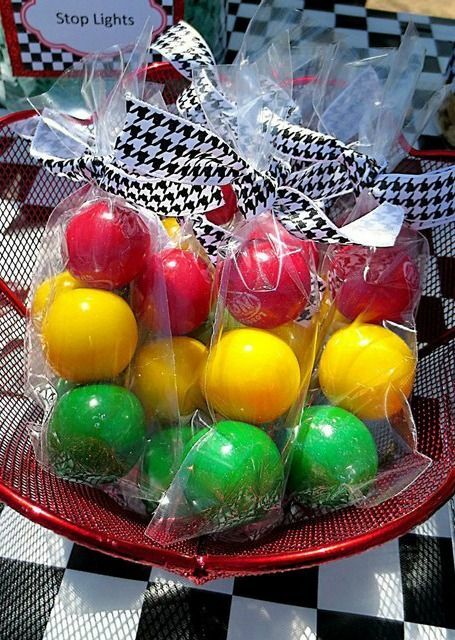 Add some pizzaz to your goody bags by attaching a balloon. 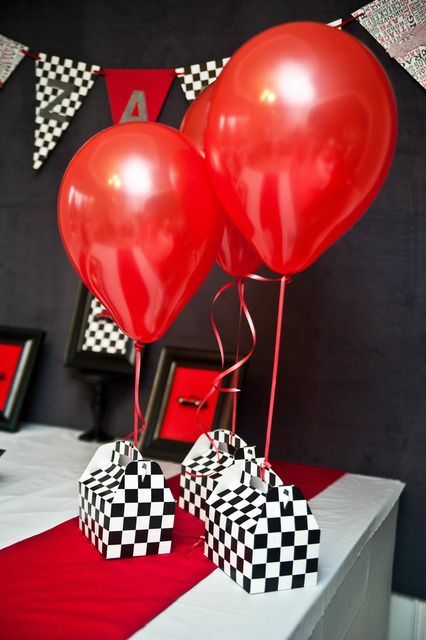 We also love the checkered pit-stop-inspired boxes. Choosing an activity rather than a bag of sweets encourages creativity and cuts down the risk of an E number overload. 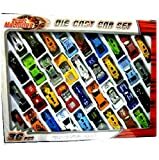 Is the car theme not a winner in your eyes? 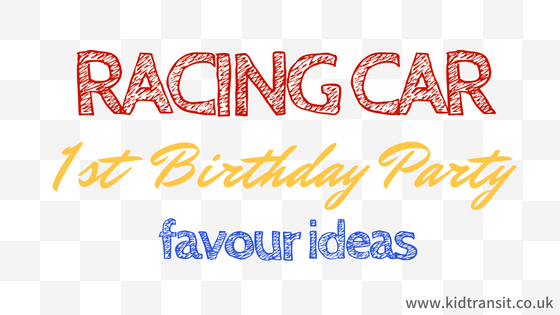 Remember, we have a whole host of first birthday party ideas just waiting for you here. 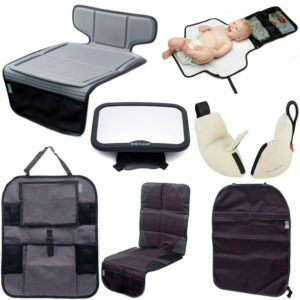 Previous Post: « I need a universal buggy board, which one to buy?